So today’s the last day of my South African sojourn for this year, tonight I head back to London. And what more appropriate blog than this? 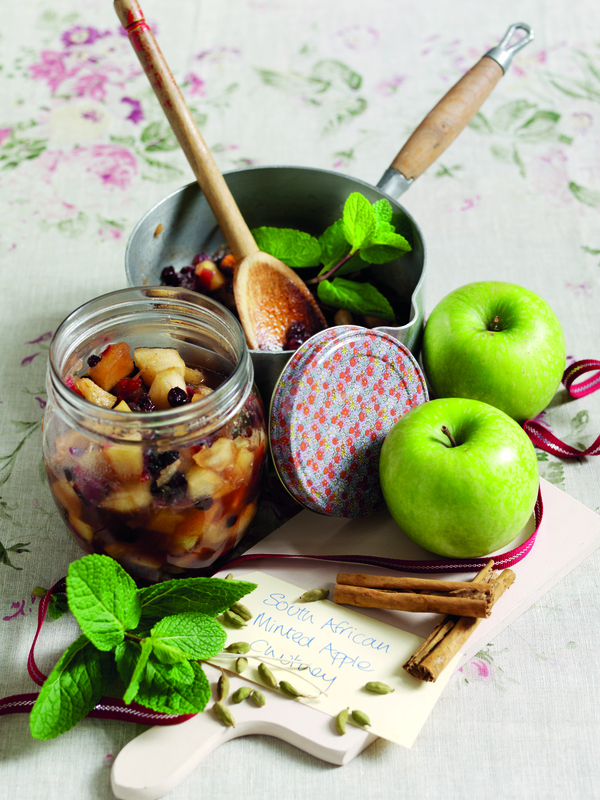 Award winning South African chef has come up with some delicious recipes using South African apples and pears. They are now widely available in UK supermarkets and will be throughout the summer. The perfect bridge across the continents. Enjoy! And then it’s time to start re-exploring London’s Restaurantland. A lot has been happening since I’ve been away, so watch this space. In a large saucepan set over medium heat, combine the onion, garlic, ginger, currants, sugar, honey, cider vinegar, lemon juice, orange juice, chili, cloves, allspice, cardamom pods and cinnamon stick. Cook until reduced by two-thirds, about 15 minutes. Add the apples and cook until they are tender and the liquid has almost evaporated, about 20 to 25 minutes. Cool to room temperature, remove and discard the cinnamon stick. Stir in the mint just before serving. 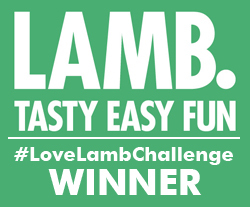 Serve at room temperature or store in the fridge in an airtight container for up to 5 days. Preheat the oven to 180°C, fan oven 160°C, Gas Mark 4. Adjust the oven shelf to the centre of the oven. Grease and line a 20cm round loose-based cake tin. Peel and core the apples, then dice them into 3cm pieces. prepared tin and smooth the top a little. Bake the cake for 50-55 minutes, or until a fine skewer inserted into the centre comes out clean. Let the cake cool for 10 minutes, then remove from the tin and cool on a wire rack. Remove the lining paper, then serve with whipped cream or creme fraiche. Cook’s tip: This recipe also works beautifully with South African pears. 1. Preheat the oven to 180°C, fan oven 160°C, Gas Mark 4. Line a baking sheet with baking parchment and set aside. 2. In a medium bowl, whisk together the maple syrup and black pepper. Add the pears and toss to coat. 3. 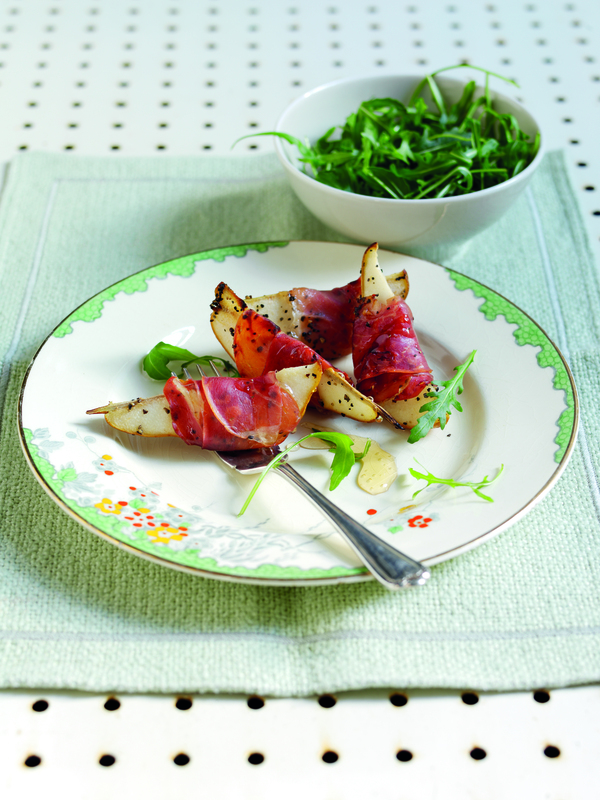 Remove the pear slices from the maple syrup mixture and wrap each one with a slice of prosciutto or Parma ham. Place the wrapped pears on the lined baking sheet. 4. Bake until the ham is crisp and beginning to brown, about 10 to 12 minutes. Cool for 5 minutes, then serve warm with rocket and a drizzle of balsamic vinegar. Mmmm. I like the sound of the pears and prosciutto for a starter, and Apple Cake is always lovely and moist. Will try these. Loads of chutney waiting to be used in the store cupboard so that can wait!